Safety Net Security can minimize any losses caused by a labour dispute by providing skilled, experienced strike security guards. Because our strike management services are comprehensive, we prepare you for the unexpected, including labour disruptions and wildcat strikes. 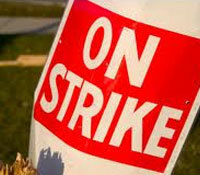 We react quickly and can have a full security strike plan in effect prior to the completion of 72-hours strike notice. During any labour dispute, we continue to provide professional strike security guards who support management with accurate information. We won’t leave your side and will maintain complete communications with you so that you are informed of risk levels and threats. Our strike management services secure all evidence during any incident, ensure safe work practices are followed during labour disputes, permit passage of approved employees and material across picket lines, and maintain the order necessary to allow you to quickly and efficiently resume business as the conclusion of any labour dispute.